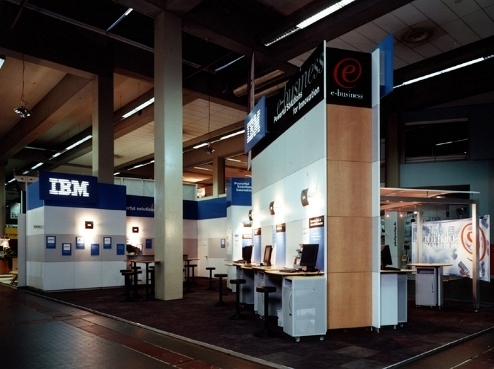 Duo GB Ltd supply and install a selection of display panels for exhibitions from the German based Leitner range. Varying from the lightweight versions of L1 and L4 to the more robust L44. Whether you are running a small trade show booth, showing on a large scale stand or designing an interior display, Duo GB Ltd can provide the perfect modular display system for permanant or temporary exhibitions. Not only that, Duo GB Ltd also offer free stand design and large format digital and UV flatbed printing. All Leitner modular exhibition boards from Duo GB Ltd are for purchase, with a select range for Hire / Rental. 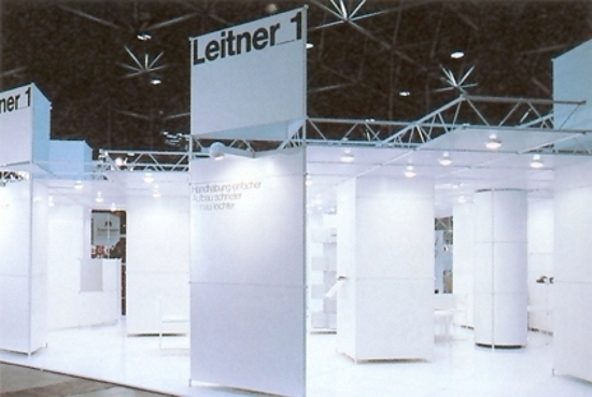 For a long time now, products from Leitner, available exclusively in the UK from Duo GB Ltd, are classic examples of portable exhibition systems or temporary display walls. 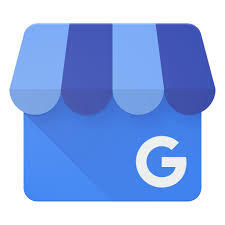 The highly practical and much aclaimed connection methods provide the link on which any number of creative solutions are based. The modular boards are straightforward technology combined with a simple, flexible construction principle guarantee, giving you the freedom to create your own new design layouts for exhibition stands, trade show booths and temporary walls. 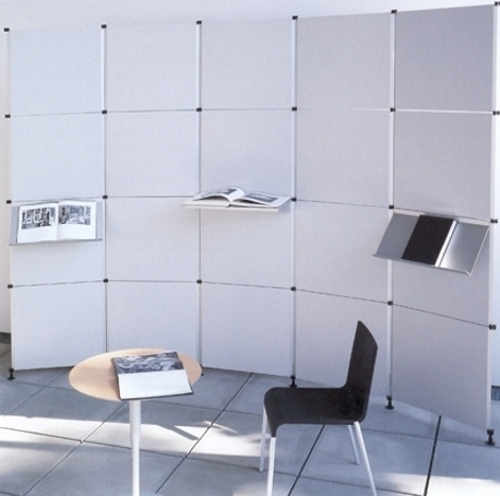 L1 Is a modular, exhibition display panels system, based around a connector of 45/90 or 60/120 degrees. 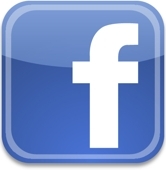 The Board is 17 mm thick, comes in a range of widths and heights, and is easily transportable. Installation and dismantle is achieved without the use of tools. L4 is similar to L1 but are sized 636 mm x 595 mm. This lightweight portable display system also uses headers (241 mm high) and kickers (340 mm high). L4 uses a connector with a multiple range of angles, allowing curves and complex forms to be constructed. 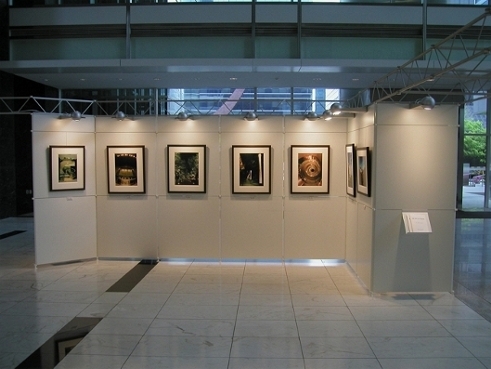 The system is sold as a kit form of 20 lightweight exhibition wall panels with accessories and lighting, contained within a metallic or wooden crate, or in bags. 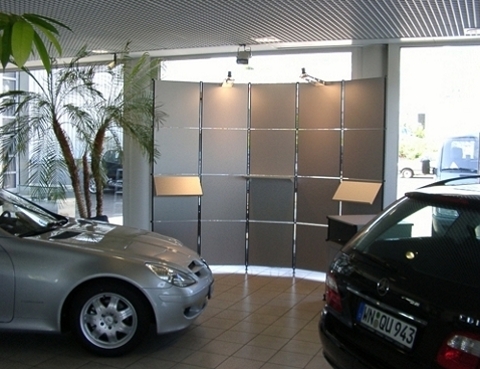 L44 is the most prestigious of the modular panel display systems produced by Leitner GmbH. L44 is a 40 mm thick wall-panel presentation system with an almost invisible connection method. 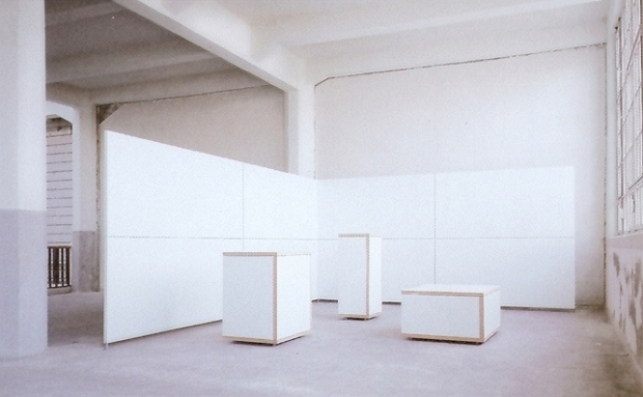 The system comes in a range of horizontal and vertical sizes, creating partitions ideal for use in art galleries, museums and trade shows.